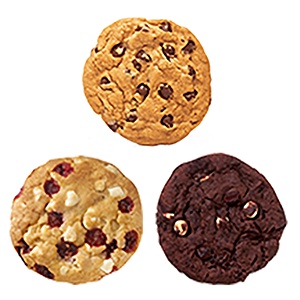 Your choice of Chocolate Chip, Double Chocolate, Oatmeal Raisin, Raspberry Cheesecake, and White Chocolate Chip Macadamia Nut. Imagine freshly baked bread stuffed with tender sliced turkey, ham, crispy bacon, melted cheese, and your choice of tasty vegetables and condiments. Now, stop imagining and get your mouth over to your nearest SUBWAY® Restaurant. FRESH FIT This gourmet specialty features our all white meat teriyaki glazed chicken strips, raised without antibiotics, and our own fat-free sweet onion sauce. With a taste so big, you won’t believe it has less than 6g of fat! FRESH FIT Get flavor without the flab when you try this American classic. Dive into tender turkey breast piled sky-high with everything from lettuce and tomatoes to banana peppers, maybe even jalapeños if you’re feeling spicy. FRESH FIT Fresh Fit The Black Forest Ham has never been better. Load it up with all the crunchy veggies you like on your choice of freshly baked bread. Even try it fresh toasted with melty cheese and mustard. Yum! FRESH FIT The Black Forest Ham has never been better. Load it up with all the crunchy veggies you like on your choice of freshly baked bread. Even try it fresh toasted with melty cheese and mustard. Yum! Saddle up & try the fresh toasted SUBWAY® Chicken & Bacon Ranch Melt sandwich. Stuffed with melted Monterey cheddar cheese, tender all-white meat chicken, crispy bacon, lettuce, tomato, onions and green peppers. FRESH FIT The Oven Roasted Chicken you love is piled high atop freshly baked bread with your favorite toppings from spicy jalapenos to crisp green peppers. FRESH FIT This tasty number, with less than 6g of fat, is piled high with lean roast beef and your choice of fresh veggies, like crisp green peppers and juicy tomatoes. Want to take it up a notch? Try it with some spicy jalapeños for a kick in the taste buds. FRESH FIT It’s alright to flip out over our NEW chicken. The NEW Rotisserie-Style Chicken Sandwich is made with tender, hand-pulled all white meat chicken, raised without antibiotics. Try it with crisp veggies on freshly baked bread. A blend of pepperoni and salami, topped with cheese—try it with hot peppers, or your choice of crisp veggies and condiments served hot on freshly baked bread. FRESH FIT Tender sliced turkey breast, lean roast beef and tasty Black Forest ham come together with your choice of fresh veggies for a low-fat flavor fiesta. Try it today on freshly baked bread and experience all the deliciousity for 6 grams of fat. FRESH FIT A sandwich so deliciously hearty, you won't know you're eating low-fat. * Enjoy the flavor of tender sliced turkey breast and Black Forest ham with your favorite veggies from juicy tomatoes to red onions served on your favorite freshly baked bread. Tender turkey breast, oven-roasted to perfection. With genoa salami, spicy pepperoni, melted provolone and our tangy SUBWAY® Vinaigrette that makes it a sandwich like no other. FRESH FIT Crispy, crunchy and classically delicious. The Veggie Delite® is tangible proof that a sandwich can be high in flavor without being high in fat. Try a delicious combination of lettuce, tomatoes, green peppers, cucumbers and onions with your choice of fat-free condiments on freshly baked bread. Our Signature Wrap builds are chef recommended, we encourage you to try this custom Tomato Basil wrap filled with steak, guacamole, shredded Monterey cheddar cheese, lettuce, tomato, green peppers, onions, jalapenos, and Chipotle Southwest sauce. Our Signature Wrap builds are chef recommended, we encourage you to try this custom build. Tomato Basil wrap filled with bacon, guacamole, turkey, provolone, lettuce, tomato, green peppers, onions, and Ranch sauce. Our Signature Wrap builds are chef recommended, we encourage you to try this custom build. Spinach wrap filled with rotisserie-style chicken, shredded Monterey cheddar cheese, lettuce, tomato, Parmesan Cheese, and Savory Caesar sauce. Start your day in a sizzlin' way with crispy bacon, egg and melty cheese on fresh toasted Flatbread or whatever you like. It's hard to imagine this trio of tasty ingredients could get even better, but just wait till you try it with everything from juicy tomatoes to spicy jalapeños for a full on flavor free-for-all. Helllooo delicious! Enjoy savory ham, melted cheese, and egg all on a flatbread. Add your choice of toasty veggies for a tasty way to start the day! Helllooo delicious! Enjoy savory ham, melted cheese, and egg all on flatbread. Add your choice of toasty veggies for a tasty way to start the day! Simply delicious. This flavorful salad is packed with lean Black Forest ham and served with your choice of veggies. All this mouthwatering greatness and it's low-fat. * Can't beat that. 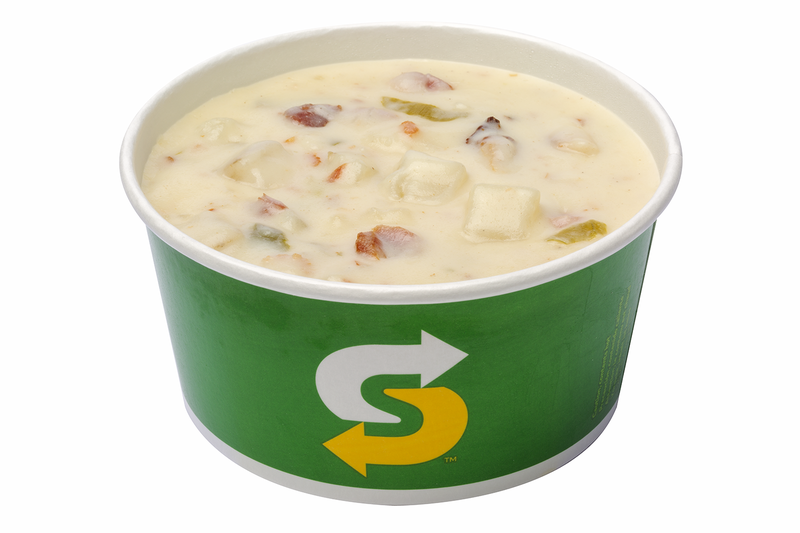 Saddle up & try the SUBWAY® Chicken & Bacon Ranch salad. Topped with Monterey cheddar cheese, tender all-white meat chicken, crispy bacon, lettuce, tomato, onions and green peppers. Can't decide what kind of meat you want? Get them all. The Cold Cut Combo is stacked with turkey-based meats - Black Forest ham, Genoa salami and bologna. This combo has a little bit of everything. 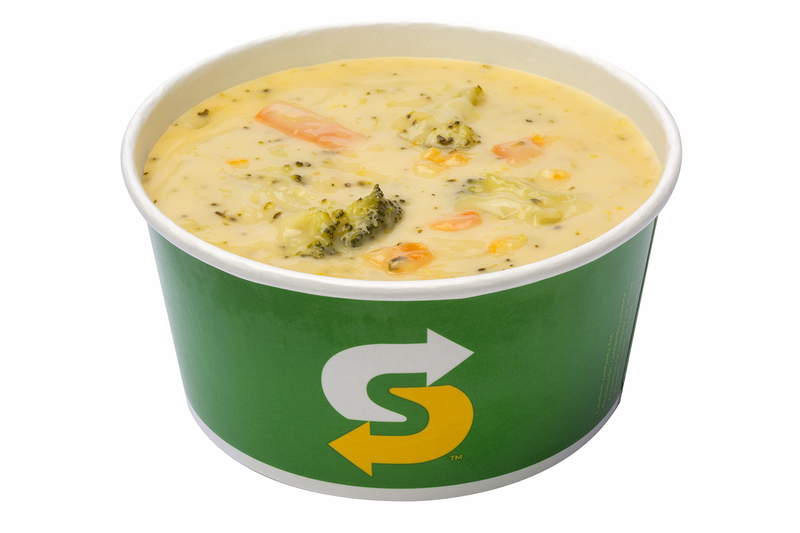 This tasty low-fat* number is piled high with lean roast beef and your choice of veggies, like crisp green peppers and juicy tomatoes. Want to take it up a notch? Try it with some spicy jalapenos for a kick in the taste buds. Tender sliced turkey, lean roast beef and tasty Black Forest ham come together with your choice of veggies for a low-fat* flavor fiesta. Imagine tender sliced turkey, ham, crispy bacon, melted cheese, and your choice of tasty vegetables and condiments. Now, stop imagining and get your mouth over to your nearest SUBWAY® Restaurant. Get flavor without the flab when you try this American classic. Dive into tender turkey breast piled sky-high with crisp veggies. A salad so deliciously hearty, you won't know you're eating low-fat. * Enjoy the flavor of tender sliced turkey breast and Black Forest ham with your favorite veggies from juicy tomatoes to red onions. Tender turkey breast, oven-roasted to perfection. With genoa salami, spicy pepperoni, provolone and our tangy SUBWAY® Vinaigrette that makes it a salad like no other. Every kid likes to ham it up once in a while. That’s why they’ll love the taste of our Black Forest ham and their favorite veggies on freshly baked bread. Apple slices and a choice of an ice-cold bottle of low fat milk or Honest Kids’® Fruit Punch make this better-for-you meal a star. Lean, delicious roast beef and fresh and crisp veggies make this sandwich an ideal choice for kids. Apple slices and a choice of an ice-cold bottle of low fat milk or Honest Kids’® Fruit Punch make this better-for-you meal a star. Kids love the taste of tender turkey breast, freshly baked bread and their favorite veggies. Apple slices and a choice of an ice-cold bottle of low fat milk or Honest Kids’® Fruit Punch make this better-for-you meal a star. Got a kid who loves vegetables above all else? Our Veggie Delite® kids meal piles all their favorites on freshly baked bread. Apple slices and a choice of an ice-cold bottle of low fat milk or Honest Kids’® Fruit Punch make this better-for-you meal a star. 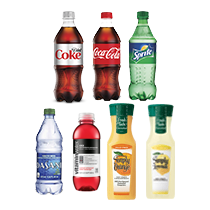 From fountain beverages to Iced Tea, bottled water and more – SUBWAY® restaurants are stocked with beverage offerings to quench your thirst! Featuring the VEGGIE DELITE®, Black Forest Ham, Turkey Breast, Roast Beef, and the SUBWAY CLUB®. Who knew eating right could taste so good? It’s the simple way to enjoy eating better. Portions per platter: 15. Serves 5-9. Featuring the Cold Cut Combo, Black Forest Ham, Turkey Breast, Tuna and Italian B.M.T.® Loaded with some of the tastiest American classics in existence, this platter is sure to please even the most discriminating taste buds. Portions per platter: 15. Serves 5-9. Featuring the SUBWAY CLUB®, Roast Beef, Spicy Italian, Italian B.M.T.® and the Tuna. Make any event a flavor fiesta with a heaping helping from this tasty number. Portions per platter: 15. Serves 5-9. Let your guests be their own sandwich artist. Order a platter of tender meats and tasty cheeses, which they can use to build a tasty meal fresh from the bread up just the way they like. Serves 10-12. Served with a variety of 7 Footlong™ breads cut into thirds. The perfect complement to the Meat & Cheese platter. With shredded lettuce, juicy sliced tomatoes, cucumbers, green peppers and red onions, it has everything you and your guests need to bring out the flavor and build a sandwich just the way you like. Serves 10-12. The bread for Giant Subs are made to order and 24 hours notice is preferred. Feed your crew with an absolute tower of taste, the Giant Sub. Grab a 3-foot Giant Sub and watch the big game with friends. Or double the deliciousness with a 6-foot Giant Sub. Still not enough hunger-busting goodness? You can order a Giant Sub in 3-foot increments as far as the eye can see. Please order at least 24 hours in advance. 3 Foot Giant Sub. Serves 10-12. Feed your crew with an absolute tower of taste, the Giant Sub. Grab a 3-foot Giant Sub and watch the big game with friends. Or double the deliciousness with a 6-foot Giant Sub. Still not enough hunger-busting goodness? 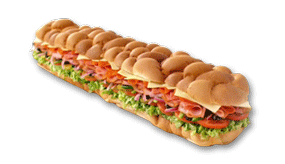 You can order a Giant Sub in 3-foot increments as far as the eye can see. Please order at least 24 hours in advance. 6 Foot Giant Sub. Serves 20-25. Minimum of 8 needed to order. 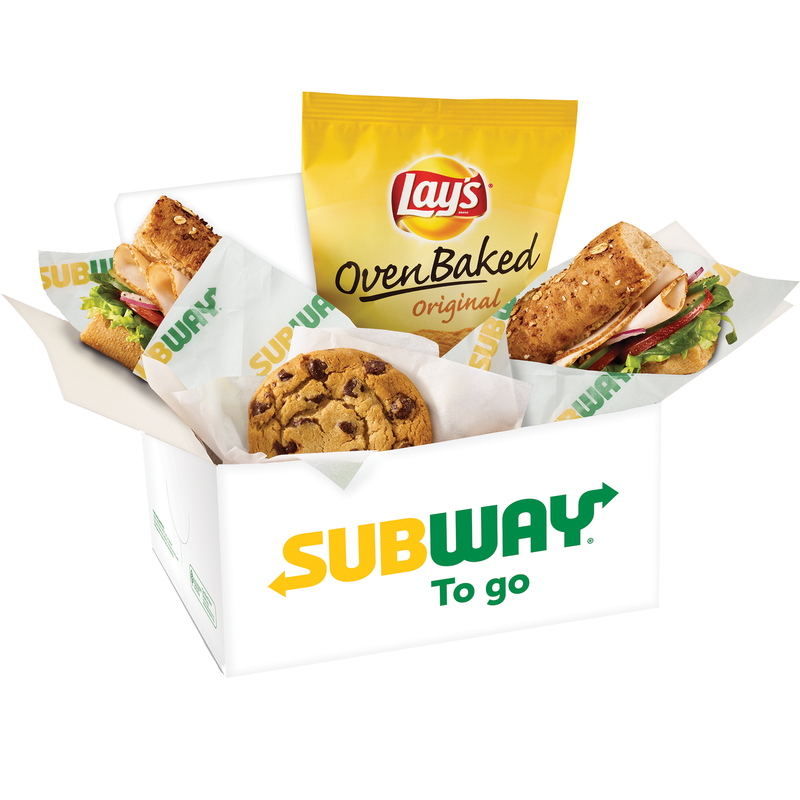 A SUBWAY to GO™ boxed meal consists of a sandwich, a cookie, and a bag of chips in a stackable box. 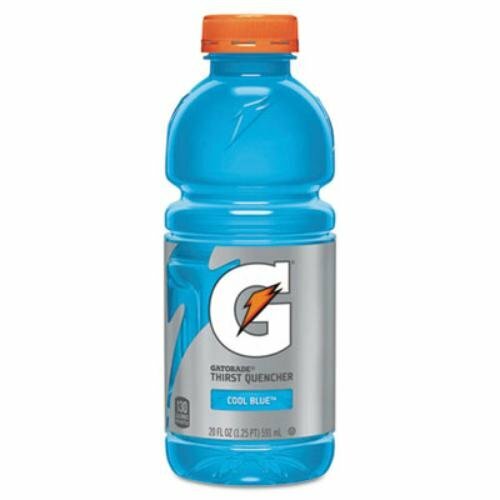 A bottled beverage can be added for an additional charge. Sandwich options: Veggie Delite®, Black Forest Ham, Cold Cut Combo and Spicy Italian. Please note that a total of at least 8 SUBWAY to GO™ Meals are required to complete your order and 24 hours notice is requested. 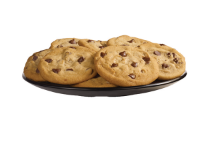 Satisfy your crowd’s sweet tooth with a variety of divinely delicious freshly baked cookies. Please note, cookies may contain nuts. Each platter contains 3 dozen cookies.